And just like that, the first quarter of the year is now in the books. Of course, we all know that time flies, but just like the sci-fi world, for investors time and money are also bending – in this case – because of the yield curve inversion. If it sounds like the financial equivalent of the upside down, it is, and for DIY investors as well as for online brokerages, it portends some stranger things ahead. In this edition of the roundup, we take a look at the rollover of the deals and promotions activity from March to April and relative quiet (perhaps too quiet) state of affairs regarding commission-free trading. From there we serve up a delightful bouquet of recent developments and trends that DIY investors and online brokerages will want to put on their collective radars. As always, we’ll collect the latest chatter from investors on Twitter and the forums to cap off a busy week in the markets. While the CUSMA or USMCA or whatever it’s called is still being ironed out, the good news for DIY investors is that there are still free trade deals to be found at Canada’s discount brokerages. As we approach the new month, and in particular this month, there is quite a bit of turnover in the online brokerage deals section. Offers from Scotia iTRADE, Virtual Brokers, RBC Direct Investing and Qtrade Investor all expired at the end of March. Encouragingly, CIBC Investor’s Edge have extended their offer through to early May which is just enough time for folks to take advantage of investing any tax refunds into the markets. In addition to the turnover in deals, March has undoubtedly been one of the most eventful months in the online brokerage space in Canada in recent memory. With the launch of Wealthsimple Trade, the conversation about promotions – especially commission-free trade ones – has forever changed. Of course, one of the interesting things about competitive markets (and the online brokerage space definitely counts as one) is how they respond to material developments. Even though promotions have been an important method for online brokerages to compete with one another and attract new assets to their organization, what has been interesting to witness with the launch of Wealthsimple Trade is not what has happened, but rather what hasn’t. Unlike the move in 2014 by RBC Direct Investing to lower their standard commission price to $9.95 per trade, the launch of Wealthsimple did not trigger an almost immediate repricing of commissions by existing online brokerages. There was not a domino effect of major online brokerages announcing they too would be dropping their trading commission structures to zero (although that still may come). Ditto for the deals and promotions – instead of more promotions or more enticing terms to steal the Wealthsimple Trade thunder, there has been nothing, which naturally begs the question, why not? While it is likely that major Canadian online brokerages will eventually formulate a response, this certainly seems like a “wait and see” moment. Undoubtedly, there are individuals from other online brokerages who’ve signed up to test the experience of Wealthsimple Trade. That, combined with early feedback from consumers and the lack of registered accounts (like a TFSA or RRSP), seems to point to a lack of immediate concern by Canadian online brokerages for the zero-commission trading world now available to Canadian DIY investors. Despite the lack of immediate movement by Canadian online brokerages with regards to the new entrant, it is almost certain that firms are already planning when the right time for a response will be and what that response will look like. One of the potential benefactors in the meantime could be the deals and promotions section. Planning and deploying promotional offers can be quick and efficient and can give investors something extra to consider when kicking the tires on a new brokerage. In addition to deals, there could also be tactical pricing adjustments that start to show up this year. With a whole suite of tech IPOs planned for 2019 featuring the likes of Uber and Slack, there is bound to be strong interest in participating in these now recognizable tech stories. Waiving or discounting forex fee markups on US trades could prove to be an interesting tactic to counter the current state of Wealthsimple Trade’s requirement for forex conversion to trade US-listed or USD-denominated securities. So, while there will certainly be a noticeable downtick in the number of deals and promotions heading into the new month, we anticipate there will be more than a couple of surprises sprung on investors in the form of creative promotional or pricing offers. And, who knows, these new free trade offers might even offer better access to the US markets than the CUSMA does. Although a catchphrase from the popular show Friends, it also appears to be an analogous way to cozy up to online investors – at least that’s what one popular US online brokerage is betting on. This past week, Interactive Brokers announced the launch of their new portfolio check up tool Portfolio Analyst which is aimed at simplifying the myriad of financial touchpoints that characterize modern day life. In what appears to be a powerful, free tool that can integrate personal financial information ranging from banking accounts and credit cards through to investments, this is an exceptionally bold move from Interactive Brokers into the “traditional” banking space. Additionally, it represents an extremely potent way to get visibility into the whole financial picture of its users – a tool that has incredible marketing value for a firm like Interactive Brokers that is expanding its service offering into products like credit cards. The Portfolio Analyst tool by Interactive Brokers also appears to be a part of a growing trend in the digitization of personal financial management. Increasingly, there are software tools being used to integrate information about an individual’s financial picture and then use that to communicate performance. 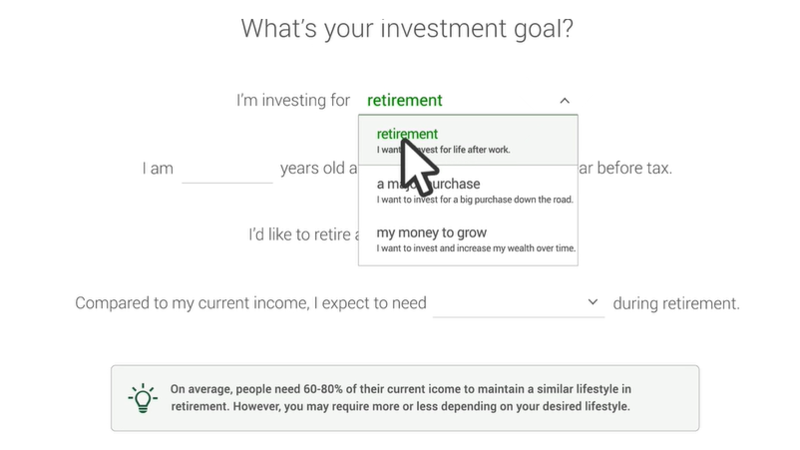 Recently in Canada, TD Direct Investing launched a tool called “GoalAssist” which pulls together information about the performance of a portfolio relative to stated investment objectives to help users determine how close or far they are from meeting their financial goals. These portfolio and personal finance management tools are not new inventions, but it is interesting to see them start to show up in the online brokerage space. Increasingly, it appears that online brokerages are not going to be contained to just trade execution – they are likely gateways to digital wealth management platforms that take a holistic view of a person’s assets and financial goals. Perhaps fortuitous timing, but another big name in the US online brokerage space, Charles Schwab, also announced last week that they will be launching a subscription-based approach to providing wealth management advisor access. While outside of the model of a pure discount brokerage, Charles Schwab provides a unique example of how an online broker took the path of diversifying their business to incorporate advice and advisory services into their ecosystem. As a result, they are playing for scale – to attract as much in terms of assets as possible, which in turn enables them to compete in a “zero commission” world much more effectively than their smaller peers. Another important detail in the saga of individuals looking to actively trade their TFSAs was revealed this past week. The TL;DR version: the only one on the hook for paying potential taxes assessed against a TFSA deemed to be a “daytrading” (or trading for a business) will be the individual whose name the TFSA was in. Prior to the update in the recent budget, both the institution that provided the account and the account holder were considered “jointly and severally liable” which means that institutions offering the TFSA could be held responsible for paying taxes if a client closed up their TFSA or transferred it to another organization before the CRA caught up. It is interesting to see how this particular case will end up impacting the CRA’s rules about “day trading” for Canadian investors. Currently there is a very, very grey zone between “active investor” and “trader” – a source of much confusion, especially come tax time. An individual making over 150 trades per quarter, for example, pushes the limit of what the original spirit of the capital gains tax exemption was probably intended to apply to. That said, there are incentives in place to do just that from online brokerages offering up discounted commission pricing on “individual” (read: non-business) accounts. So, while online brokerages are abundantly clear about not offering tax advice, enabling individual non-registered accounts to trade beyond a certain activity threshold and calling them “non-business” accounts is a slippery slope that may ultimately attract the ire of the CRA. Ultimately, choosing to go down the DIY or active investing route can actually lead to becoming viewed as a business in the eyes of the CRA. This is important for DIY investors to take note of as they get started with investing as there is very little that is explained about the tax implications of trading by online brokerages themselves. Certainly with the euphoria of early 2018 now about to play out in tax season, we fully expect there to be some tough lessons being learned by the “active investors” in cannabis and crypto stocks. One DIY investor has questions about the best way to move funds from one low-volume stock to another. Users on Financial Wisdom Forum provide helpful strategies and tips. Read more here. A Redditor seeks advice on how to create a balanced retirement portfolio with a partner who wants to keep their money off the markets. See what other users on Reddit suggest. It’s hard to believe how quickly April has arrived. Keeping pace with the news cycle has been an endurance test to be sure, but that is something that the bearish market watchers should be used to by now. These past two weeks, however, it seems like their patience may finally be kicking in. With the inversion of the yield curve starting to raise the spectre of recession and another voice seemingly calling for a short on Canadian banks, the end of calendar Q1 for investors is ending on a somewhat ominous note. Not to be a party pooper, but the flood of IPOs coming to market this year might be one of those “top of the market” kind of events too where the final moments to tap positive investor sentiment are close at hand. All that said, spring is about growth and opportunity – regardless of the market direction, here’s hoping that you find a profitable way to play it.